The first book to examine the science behind both mild and extreme compulsive behavior—using fascinating case studies to understand its deeper meaning and reveal the truth about human compulsion. Whether shopping with military precision or hanging the tea towels just so, compulsion is something most of us have witnessed in daily life. But compulsions exist along a broad continuum, and at the opposite end of these mild forms exist life altering disorders. Sharon Begley’s meticulously researched book is the first of its kind to examine all of these behaviors—mild and extreme (OCD, hoarding, acquiring, exercise, even compulsions to do good)—together, as they should be, because while forms of compulsion may look incredibly different, these are actually all coping responses to varying degrees of anxiety. With a focus on personal stories of dozens of interviewees, Begley employs genuine compassion and gives meaningful context to their plight. Along the way she explores the role of compulsion in our fast paced culture, the brain science behind it, and strange manifestations of the behavior throughout history. 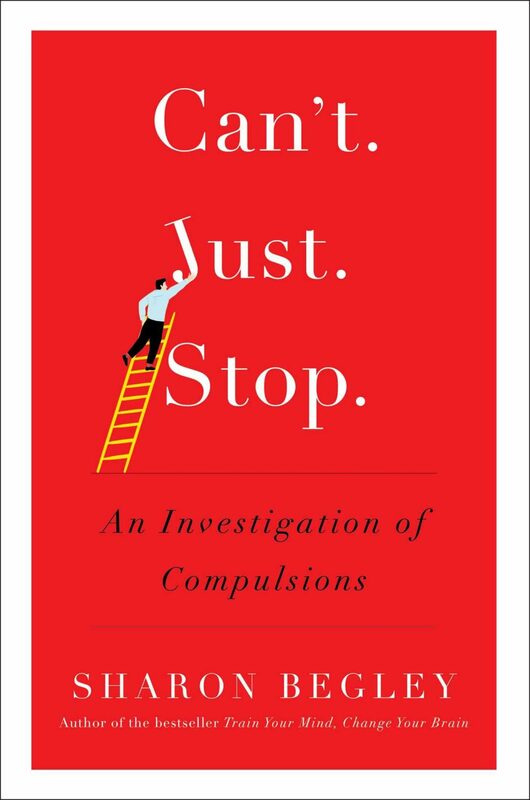 Can’t Just Stop makes compulsion comprehensible and accessible, exploring how we can realistically grapple with it in ourselves and those we love.